Elizabeth), the Arctic and subarctic continent, the northern zone of the various provinces and the extreme north of the Atlantic and Pacific coasts (especially north of the 50th parallel). Rangers based in various locations scattered along the inlets that form the Northwest Passage will launch the first warning signals in case of unauthorized incursion in these areas. Enlisted as Canadian Forces Reservists, the Rangers receive regular training, weapons training and support of various kinds from the Regular Forces; Their task is to provide the military with the potential for early warning, territorial surveillance, search and rescue and reconnaissance. 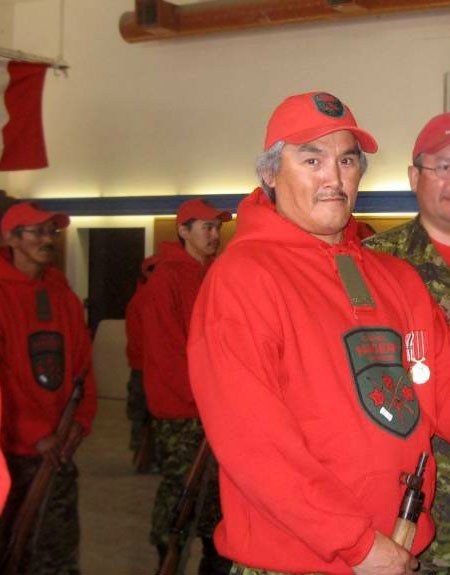 They are organized, by community, into units called Canadian Ranger patrol groups. With the exception of a few groups in British Columbia and Newfoundland and Labrador, these units are largely composed of Native Americans who elect their own NCOs from among their own and usually appoint elders from their community to act as counselors. cases of spiritual or moral problems. 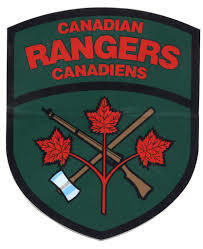 On January 1, 1999, the Canadian Rangers provided outstanding assistance following an avalanche in the Quebec community of Kangiqsualujjuaq that left nine people dead. The Kangiqsualujjuaq patrol included 28 rangers who volunteered to help the local population to find the remains and bury them properly. They also monitored the area at risk of a second avalanche to protect the community. About 100 people from outside the community also came to help the community, including some 40 other Canadian rangers. In fact, 2nd Patrol Group received the Chief of the Defense Staff Commendation for their actions in this natural disaster. The Deputy Prime Minister and the Minister of Public Security of Quebec and the Minister of Indian Affairs of Canada also presented their appreciation to the Canadian Rangers for their help. On June 7, 2009, Canadian Rangers responded to the crash of an aircraft in the Port Hope Simpson area of ​​Labrador. A Port Hope Simpson Airport attendant who is also a Canadian Ranger Sergeant noticed smoke in the west of the community and immediately alerted the authorities while asking a group of rangers to be ready. to intervene. Eight rangers located the aircraft and then cleared an access road to the crash site and developed a helicopter landing area. The eight rangers were awarded the Land Force Atlantic Area Commander Commendation for their quick response to this search and rescue operation. On February 14, 2000, at Rideau Hall in Ottawa, Her Excellency the Right Honorable Adrienne Clarkson, Governor General of Canada and Commander-in-Chief of the Canadian Forces, presented selected Canadian Rangers with the Special Service Medal with engraved staple "RANGER In recognition of their outstanding contribution to the defense and security of the homeland. "You are the eyes and ears of the armed forces in remote communities," she said. You support the forces and help protect our sovereignty ... Your skills, your knowledge, your know-how are second to none ... You, the Canadian Rangers, have made an important contribution to the North - what you continue to do - and on our journey to us, your fellow citizens. Thank you. " On February 19, 2013, a Canadian Ranger died in a snowmobile accident on Sunday, February 17, 2013, approximately 24 kilometers southwest of Gjoa Haven, Nunavut, during Exercise Polar Passage . Corporal Donald Anguyoak was a member of the Canadian Ranger Patrol in Gjoa Haven, part of the 1st Canadian Ranger Patrol Group. He was on duty at the time of the accident, acting as the first scout of his patrol. Historic Moment for the Canadian Rangers of Nunavik, February 29, 2016 Brigadier-General Stéphane Lafaut, Commanding Officer of the 2nd Canadian Division and Joint Task Force East, presented the third installment of the Canadian Forces Decoration to Eight Canadian Rangers of Nunavik, each with 42 years of dedicated service.